LUX-camp can be trusted to secure the finest mobile home necessary to make camping luxury a reality at your chosen luxury camping site. Le Floride provides both on-site camping luxury, and the convenience of being close to plenty of outside entertainment, shopping and sporting facilities. The family-run holiday camping site also offers easy access to a glorious beach, as well as tarmac pathways alongside the River Agly that entice cyclists and hikers into exploring this beautiful region. Sparkling pools, lengthy slides and a gigantic jacuzzi. The vibrant town of Le Barcarés withing walking distance. Enough entertainment to keep the children enthralled. Close to a boat launching dock and skiing facility. 2 Heated, covered pools, 1 outdoor heated pool, 2 gigantic water slides, a paddling pool, a counter-current pool and a luxurious hot tub are only some of the ways of enjoying staying wet at Le Floride. If that is not enough water-based activity, then campers have miles of Catalan coastline to explore for sandy beaches, windsurfing, boating and a host of other ways to enjoy the clear blue waters of the Mediterranean. 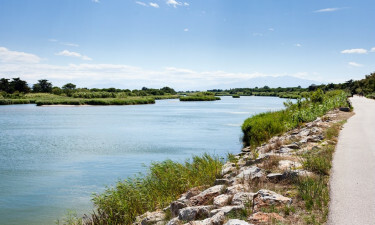 Luxury camping between the Mediterranean and the Pyrenees means plenty of opportunities for visiting the famous vineyards of the Roussillon region, as well as some charming old ports. This is ideal for sampling some of the renowned cuisine on offer, together with a glass of wine. Nature lovers will be enthralled by the majestic Massif des Alběres, as well as the many spectacular nature reserves with their rare species of plant and animal life that are found along the coastline. A boat trip around the region provides the ultimate in camping luxury made available to guests at Le Floride. Visits to nearby towns or to Spain’s Costa Brava are unique experiences for those wanting to see prehistoric museums, fortresses and castles. It also offers the opportunity of visiting the local markets that are open most days, as well as evenings to sample fresh local produce, arts and crafts. 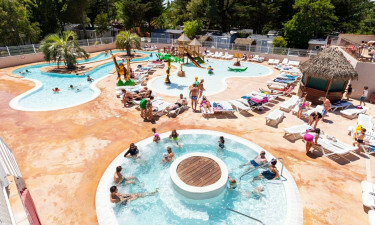 Then it is back to the spacious comfort of the mobile home rented via LUX-camp to enjoy the friendly and relaxed atmosphere at this luxury camping site. An on-site restaurant takes care of those highly stimulated luxury camping appetites with tasty traditional dishes also offered as a take-away. Daily bread deliveries, a snack bar and a pizzeria provide delicious alternatives. 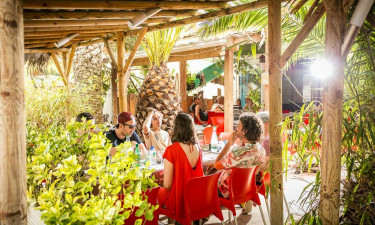 However, the nearby city of Marseillan will delight the palate with mouth-watering Catalan cuisine, while also enthralling visitors with its amazing flocks of pink flamingos. 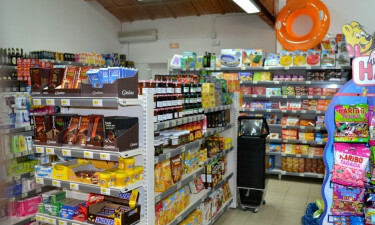 A seasonal mini-market and souvenir shop provide well for necessities, but, again, Marseillan offers many small shops, supermarkets, pharmacies and all other facilities necessary to enjoy an unforgettable camping holiday experience.